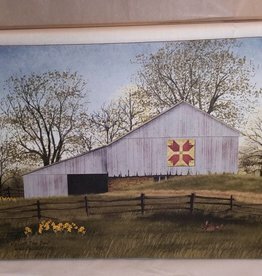 A Billy Jacobs inspired canvas of an old barn with a "Dutch" canvas block on the end, in a field of tulips. 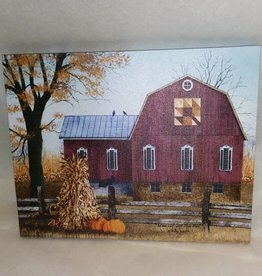 16"x12"
Tulip Quilt Block Barn Canvas, 16x12"
A canvas by Billy Jacobs" entitled "Autumn Leaf Quilt Block Barn". 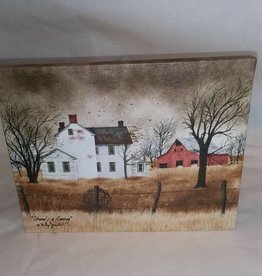 10" x 8"
Autumn Leaf Quilt Barn Canvas, 8x10"
A canvas depicting an old farm waiting for a storm that's coming. 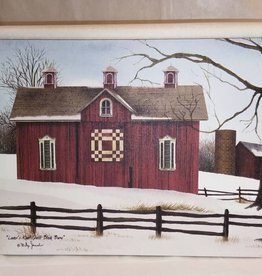 "Lover's Knot Quilt Block Barn" canvas by Billy Jacobs. 16" x 12"
Lover's Knot Quilt Block Barn Canvas, 16x12"
"Butternut Bridge" canvas by Billy Jacobs. 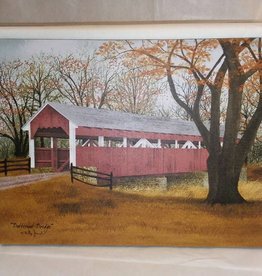 A covered bridge in the Fall. 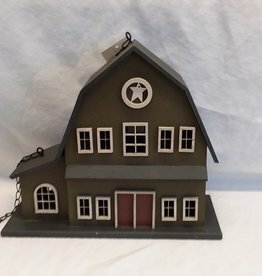 16x12"
Canvas of "Amish" House & Barn. 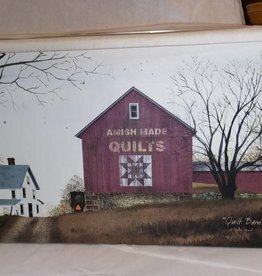 Billy Jacobs Barn advertising Amish Made Quilts. 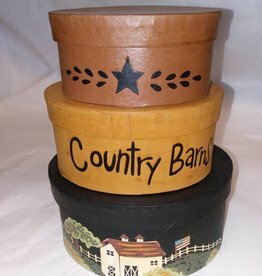 20"x12"